5b-1. Right aortic arch with left ductus arteriosus remnant. 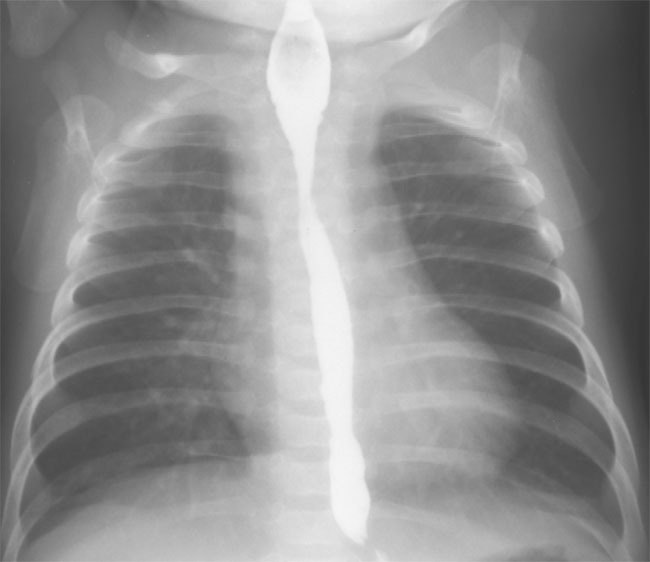 A. PA chest film demonstrates a right sided aortic arch in this two month old infant who presented with stridor and respiratory distress. B. Right lateral view clearly demonstrates posterior indentation in the esophagram confirming the presence of a vascular ring. 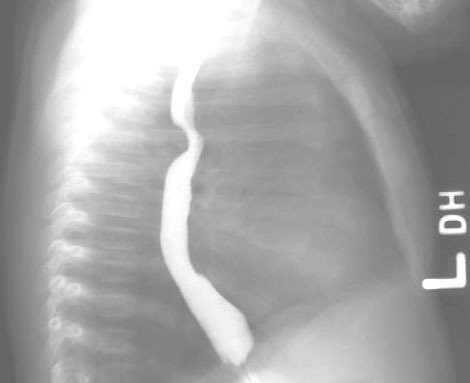 This child on further evaluation was found to have a right aortic arch with a left ductus arteriosus remnant.